Exploring the Lives of Women, 1558-1837' is an engaging and lively collection of original, thought-provoking essays. Its route from Lady Jane Grey's nine-day reign to Queen Victoria's accession provides ample opportunities to examine complex interactions between gender, rank, and power. 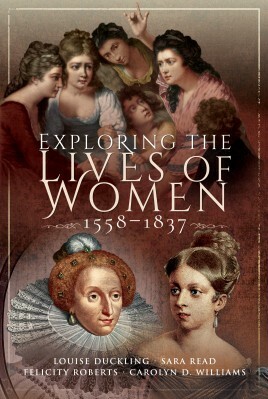 Exploring the Lives of Women, 1558-1837' is an engaging and lively collection of original, thought-provoking essays. Its route from Lady Jane Grey’s nine-day reign to Queen Victoria’s accession provides ample opportunities to examine complex interactions between gender, rank, and power. Yet the book’s scope extends far beyond queens: its female cast includes servants, aristocrats, literary women, opera singers, actresses, fallen women, athletes and mine workers. "[…] Exploring the Lives of Women, 1558 - 1837" is an impressively organized and presented body of detailed scholarship that is unreservedly recommended for community, college, and university library Women's History collections and supplemental studies lists.